Hello friends, as of late and longtime. This week we are training for the big event on Sunday – the Super Bowl – and we are starting with a dish that is loosely dedicated to Cheese Heads across the nation. 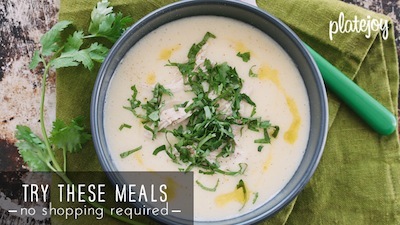 Today, we are making a dip that will satisfy low sodium eaters and salty snackers alike. 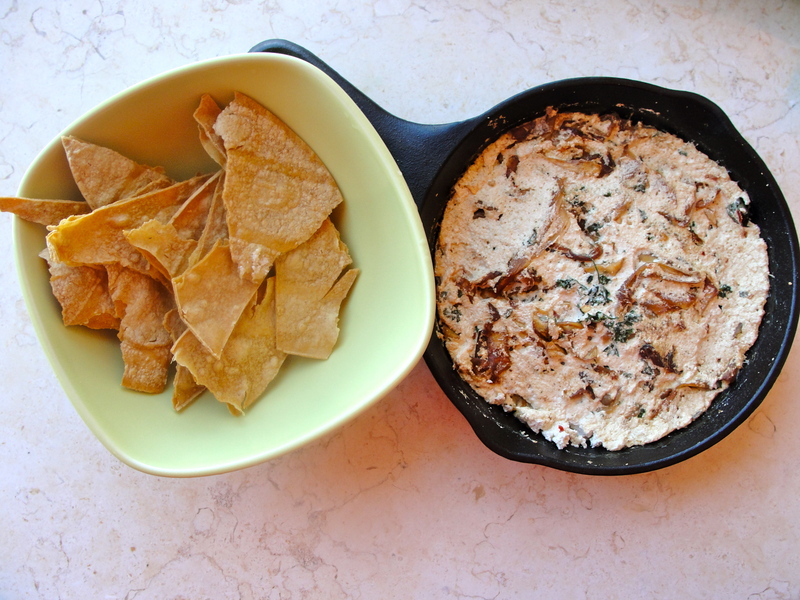 Today, we are putting the “o.k.” in queso and the “fun” in fundido. Traditionally, queso fundido is a creamy blend of cheeses that includes tomatoes, chorizo, and peppers and is often served with tortilla chips. So to make it low sodium, I needed to give myself a hefty portion of creative license. And instead of trying to achieve that perfectly smooth fondue texture (which is almost impossible without ordering low sodium cheese online), I decided to set my sights on creating something smoky, spicy, and spreadable (which is easily achieved with salt-free spices). 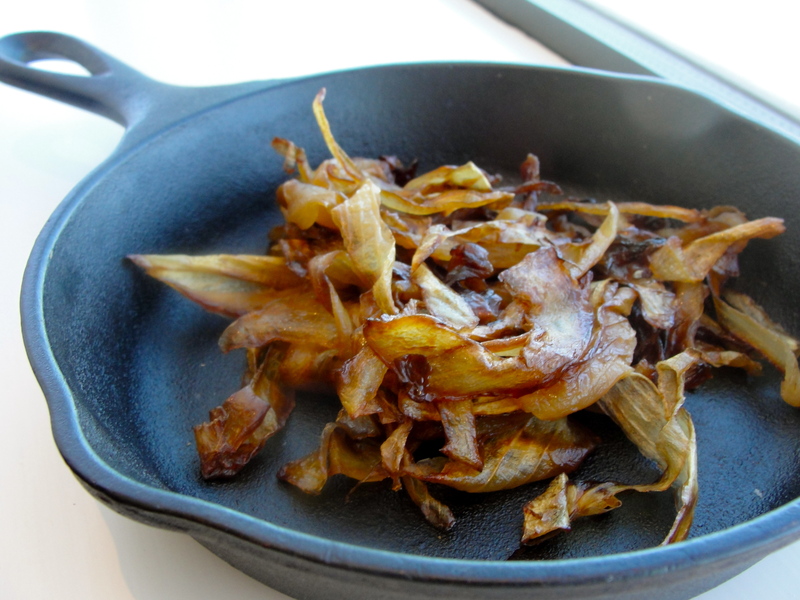 I chose a low sodium ricotta (by Calabro – only 24mg of sodium per 1/4 cup) as the main ingredient and to add more flavor to the dip, I slowly caramelized half an onion. A little bit of olive oil, a pan on low heat, and forty-five minutes will quickly transform the taste from biting to scrumptiously sweet. Then, in an oven safe dish, I mixed the ricotta and onions with 1/8 teaspoon of red chili flakes, 1/4 teaspoon of cumin, 1/4 teaspoon of smoked paprika, and some dried basil and fresh cilantro that I had on hand. I roasted the dish for thirty minutes at 350 degrees F, throwing in some fresh tortilla triangles to crisp up as well. From there, the instructions are quite simple. Serve warm and dip. And don’t forget to chew. Needing to do the Heimlich during a touchdown could get confusing and dangerous. Of course, if you have some ground pork on hand, feel free to brown it in a pan and throw it in with the cheese, onions, and spices before baking. It may not be chorizo, but it will provide a similar rich, fatty, meaty flavor. So remember, whether it is for Super Bowl fare or any other kind of cuisine, satisfying low sodium approximations are always possible. And if you find yourself fumbling with a favorite recipe, make a comment below and together we can achieve that low sodium goal. I’m off to stretch my stomach. Chow on. This sounds amazing and can’t wait to try it. Thanks!!! This sounds amazing! I can’t wait for the big pig out on Sunday! Thanks Emily and Beth…I know, I’m counting down the hours. Although, I’ve definitely been pigging out during all this prep. What are you guys making this weekend? 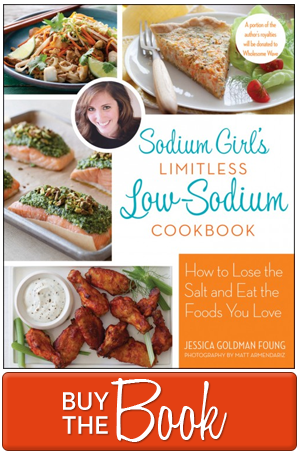 the challenge….my goal is to find delicious no salt dishes to pass on to my family and all to continue to give salt the boot!! Thanks!!! Please keep up the good work!! !